This registration will take you about 10-15 minutes to complete. 1. All new participants are required to register by submitting this form BEFORE participation in any LHA-NIKO activities. 2. MUST be signed by Participant (for ages 18 and above) or Parent/Guardian of Participant (for ages below 18) . Submissions which do not meet any of the listed terms and conditions will be deemed invalid . 3. This Form is for the application as a Participant with Lionheart Academy (LHA) and for Membership with New International Karate Organization (NIKO) . 4. 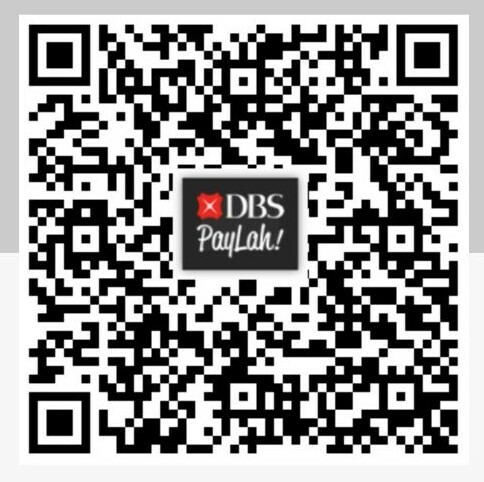 An Annual Fee of S$90 is applicable and must be submitted BEFORE the submission of this Form. 5. Late submission of the Form and Fee or non-registration will result in the non-recognition of the participant by LHA and NIKO, hence barring him/her from taking part in activities, and NIKO membership privileges conferred by LHA, including Grading participation. 6. Membership is from January to December of each calendar year . Active membership requires the payment of training fees which are collected separately from Membership fee. 7. Events organised for NIKO Members only, require participants to be a registered Member AND training fees to be paid at one of our recognised training centres before participation. This is important for us to keep you up-to-date with announcements and events. LIKE our Page on Facebook to be notified on the starting dates of every New Course Term. Help us to understand you better. Name of martial arts, combat sports and/or self-defence course experience(s). State other location / session. as in NRIC / FIN / Passport / Birth Certificate / Dependent Pass No. SUBMIT button has been disabled. Unfortunately, our programmes are currently only catered for participants aged 7 and above. enrolled for Primary 1 in the year he will be starting Ashihara Karate. As you are currently below 18 years old, you will require parent's/legal guardian's signature. Please keep in mind that any false declarations will render this application invalid. Applicants are required to provide contact details of parent / legal guardian who can be contacted immediately in the event of any emergency. Leave blank if it is the same as in part I. 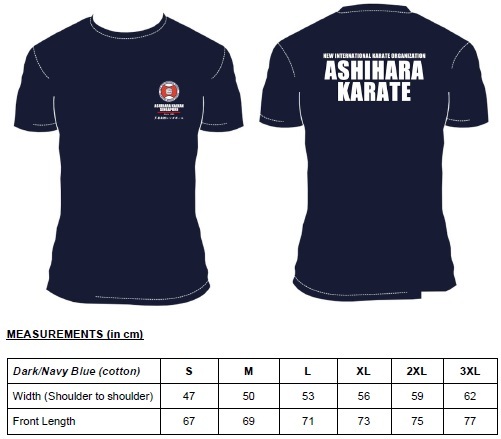 New AKS Participants are entitled to purchase our Club T-Shirt at a promotional price of $18 at point of registration. Purchases after registration will be $20. Limited sizes remain and while stocks last. Size selected is currently out of stock. Uniforms and PPE may be purchased with the Instructor or via a general supplier. Purchases with the Instructor can be submitted in cash or via Internet banking. Purchases with the Instuctor will only be processed upon payment. Due to the specialized nature of our practice and brand exclusivity, we strictly uphold the conformity of uniforms and PPE to our safety and branding guidelines. Prospective participants are adviced to consult our instructors prior to making a purchase with a general supplier. Uniforms and PPE that do not meet AKS approval guidelines will not be permitted for use during activities run by AKS. Key in Height in centimetres. Orders confirmed only AFTER submission of payment. For INTERNET BANKING, please input Participant's Name for us to identify you. Please submit payment BEFORE the submission of this form. MUST be signed by Participant (for ages 18 and above) or Parent/Guardian of Participant (for ages below 18). 1. You/your child/ward agree to abide by the Terms and Conditions & Rules of AKS. 2. You/your child/ward will not do anything to disgrace AKS nor abuse the training you shall acquire from AKS. 3. You accept that you/your child/ward will be undergoing training at your/his/her own risk. You/your child/ward agree to abide by all lawful commands and instructions of the instructors and members of the committee. Nonetheless, you shall hold yourself/your child/ward solely responsible for any internal or external injuries that you/he/she may sustain during training. 4. You indemnify AKS and the members of the committee against all damages, including damages to third persons and property, caused by your/your child/ward actions. 5. You agree and consent for the information provided, and any media (e.g. photos, videos, etc.) with you/your ward as the subject, to be used at the discretion of AKS and/or NIKO. 6. You agree and consent that AKS and/or NIKO is/are permitted to disclose your personal data to third parties (whether located within or outside Singapore) for AKS/Karate-related activities and for the said third parties to subsequently collect, use, disclose and/or process your personal data for the same purpose(s). This may entail contacting you and sending you relevant information via various modes of communication including but not limited to voice/phone calls, emails, SMS, WhatsApp and postal mails, etc. 7. You accept that AKS and/or NIKO reserve the right, at their discretion, to bar you/your child/ward from participating in activities under the jurisdiction of AKS and/or NIKO or revoke your/his/her membership without assigning any reason whatsoever. 8. You declare that all the information provided in this Form is true to the best of your knowledge and you have not willfully suppressed any facts. 9. You understand and agree that AKS and/or NIKO reserve the right, to reject this Application where necessary and subsequently bar you/your child/ward from participating in activities under the jurisdiction of AKS and/or NIKO. 10. You understand and agree that this Application will only be complete upon the submission/payment of the Membership Fee . 1. Your personal data privacy is important to us and we are committed to safeguarding your personal data that we may possess. Please read this privacy statement carefully as it contains important information about how we will/may collect, use, disclose and process personal data that you provide or that we possess about you. In this document, the term “personal data” means data, whether true or not, about you where you can be identified either (a) from that data; or (b) from that data and other information to which we have or are likely to have access. 2. In this Personal Data Privacy Statement and Consent document, the words ‘we’, ‘our’, ‘us’ and ‘AKS’ refer to Ashihara Kaikan Singapore and its successors and assigns. 3. We will necessarily need to collect, use, disclose and/or process your personal data. Such personal data includes information about you set out in your application forms and documents and any other personal information provided by you or possessed by us. Some examples are your name, identification number, age, personal contact details, citizenship, medical and disability information, photograph etc. 4. Your failure to supply certain personal data to us (or if we are not permitted by you to process your personal data), may/would result in us being unable to process, administer and/or manage your applications for any of our programmes and activities. Depending on the extent by which you do not permit us to process your personal data or the extent of personal data which you do not provide to us, it may mean that we will not be able to accept you as a participant of AKS. e. facilitating, administering, processing, dealing with and/or managing your application(s) for awards and/or financial aid/loans, grants or bursaries, and if successful, administering and/or managing your awards and/or financial aid/loans/subsidies. x. to perform, deal with, facilitate and/or administer fund raising activities, and/or to solicit donations from you, for purpose of advancement of education in AKS, and this may entail contacting you and sending you relevant information via various modes of communication including but not limited to voice/phone calls, emails, SMS, WhatsApp and postal mails, etc. d. organisations and/or educational institutions which are involved in exchange programmes with us, the provision of products and services relating to your status as a participant, participant learning or academic courses, financial aid, scholarships and bursaries. These provisions are intended to facilitate the provision of products and services in connection with your participation. We will not disclose to a greater extent than is provided and which we determine in good faith to be necessary. 7. You have the right to withdraw your consent given hereunder, whether in part or as a whole. However, your withdrawal of consent could result in certain legal consequences arising from such withdrawal. In this regard, depending on the extent of your withdrawal of consent for us to process your personal data, it may mean that we will not be able to continue with your existing Relationship with us. Should you wish to withdraw your consent in part or whole, please send an email to at ashiharakarate.sg@gmail.com and providing details of your withdrawal. 8. Should any of your personal data that you provide us with become inaccurate, such as but not limited to changes in your home address, your contact details etc, you are required to promptly update such personal data via email to ashiharakarate.sg@gmail.com. 9. For the avoidance of doubt, in the event that Singapore personal data protection law permits an organisation such as AKS to collect, use or disclose your personal data without your consent, such permission granted by the law shall continue to apply. 10. If you have any questions relating to our collection, use and disclosure of your personal data or the matters set out in this document, you may contact us via email at ashiharakarate.sg@gmail.com.